This definition of SPECT was gotten from the Mayo Clinic Website: A single-photon emission computerized tomography (SPECT) scan lets your doctor analyze the function of some of your internal organs. A SPECT scan is a type of nuclear imaging test, which means it uses a radioactive substance and a special camera to create 3-D pictures. While imaging tests such as X-rays can show what the structures inside your body look like, a SPECT scan produces images that show how your organs work. For instance, a SPECT scan can show how blood flows to your heart or what areas of your brain are more active or less active. We generally do not recommend that brain injured individuals make special effort to have SPECT scans done. While the images can show some things not seen on structural scans, advances in MRI and FMRI have made SPECT scans less than the preferred choice, unless the scanning doctor has years of experience interpreting such results with a brain injured population. You should never have a SPECT if you are pregnant or breastfeeding. The radiation could be harmful to the fetus or the infant you are breastfeeding. 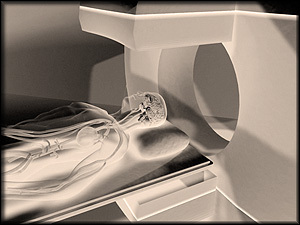 Your health care team uses the lowest amount of radiation possible in order to perform the scan. In general, a SPECT scan exposes you to radiation levels similar to those you might encounter naturally in the environment over the course of a year. Talk to your doctor if you’re concerned about your exposure to radiation during a SPECT scan.